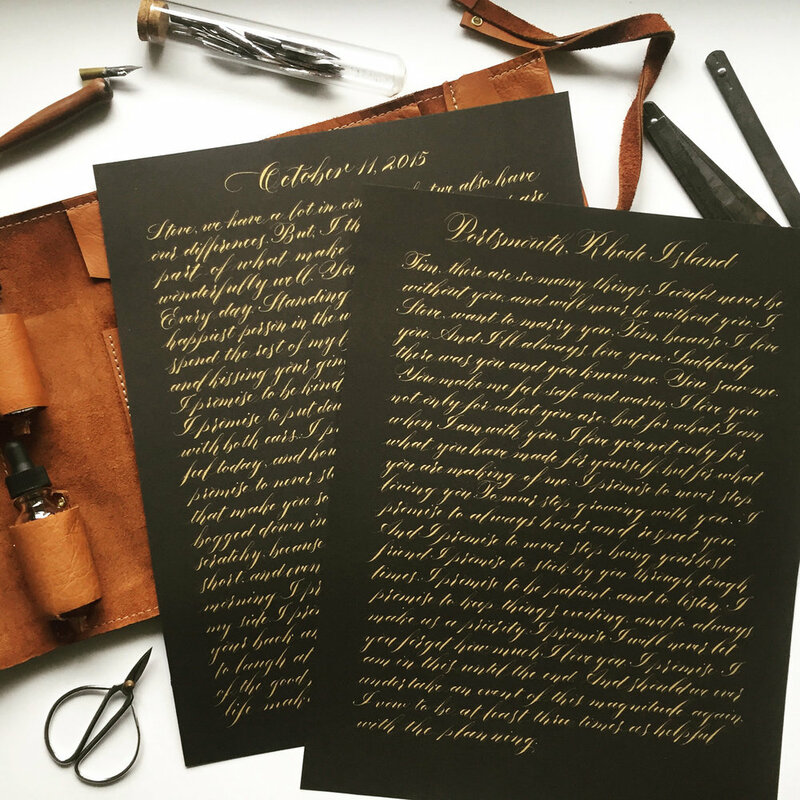 One of our specialized offerings here in the studio is creating custom calligraphy wedding vow keepsakes that bring the beauty of your marriage love letter to life. 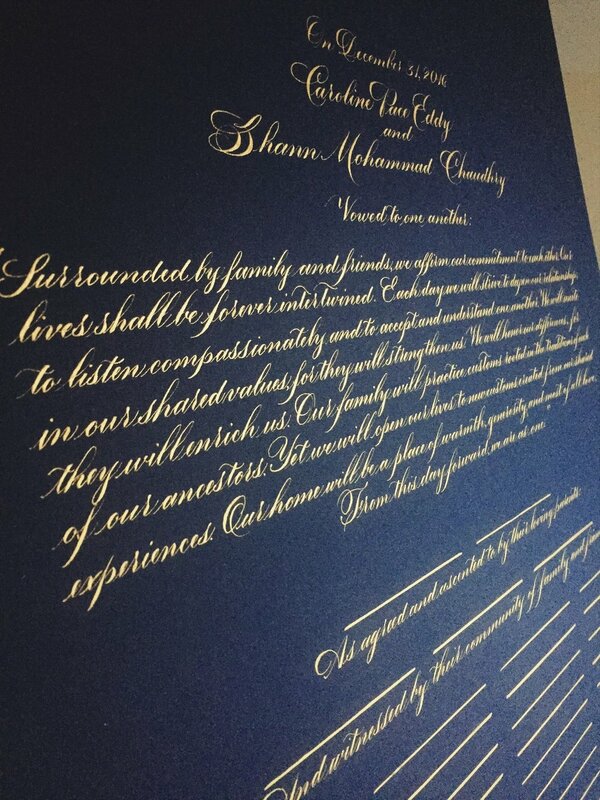 We offer several paper, ink, and script customization options to create a vows that truly reflect the beauty of your love story. These make memorable gifts for anniversaries, Valentine's, or any day you wish to say, "I still do."